The Company AZOR AMBIENTAL, S.A. has more than 60 years of history and experience. It starts its business in the year 1948 in MURCIA, in Molina de Segura to be more precise, dedicating itself from the beginning essentially to metallurgical activities, and a little bit afterwards to the export and import businesses of its products. 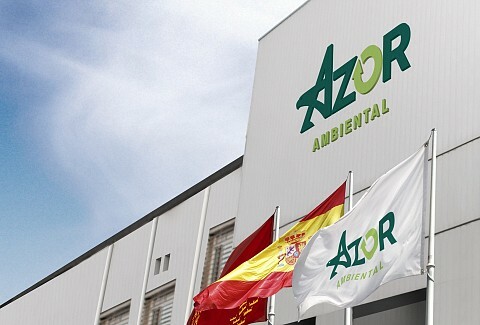 AZOR AMBIENTAL, S.A. comprises more than 160 employees that develop its activity in MURCIA. Nowadays it has a multinational dimension and takes part in sectors like commercialization and distribution of industrial products, as well as the import of raw materials. AZOR AMBIENTAL, S.A. has a firm commitment with the AEO certificate and with the safety, management, finance and labor policies that are required to be certificated. Likewise, these requirements are not demanded but they are very profitable in all its customers/suppliers to attain the goal of a Safe Supply and Logistics Chain Management.